Established in 1973 by Vittorio Livi, Fiam Italia is grounded in the manufacture of glass using traditional glass making techniques. The collection has reached its fifth generation of glass bending plants, with the master craftsmen now assisted by technologies and materials that allow designers the flexibility to create pieces that would have previously been impossible to realise. 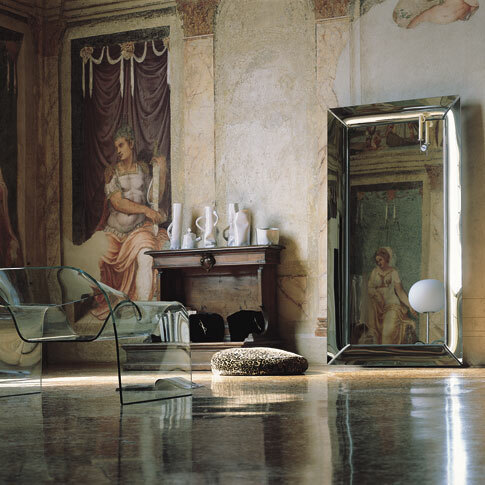 Fiam Italia has worked with a wide and varied range of designers, from Philippe Starck, to Ron Arad, Tord Boontje and Danny Lane, to produce an eclectic collection that includes tables, chairs, storage, and complements. Fiam Italia's innovative and artisan skills with glass are probably best demonstrated by the Ghost chair designed by Cini Boeri which is internationally regarded as design classic.